The City of Bishop City Park was created on land partially owned by the City of Bishop and land leased from Los Angeles Department of Water & Power. Located downtown, on Main St., the park is a popular attraction for community members and visitors alike. People of all ages enjoy the shade of the trees, the gazebo and pond, the birds, fish, and areas to have picnics and barbeques. There are two playgrounds, walking paths and a stream to ride or walk along, making it perfect for kids, families, wheelchairs, and adults alike. For those who are intereseted in sporting activities, the Bishop City Park has lots to offer. The city park has a pool, open seasonally, with diving boards and a large slide, as well as a baby pool. 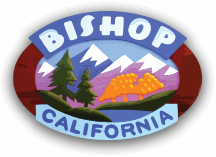 Please visit the City of Bishop website to learn more about the pool and hours of operation. There is a skate park, often busy with skateboarders, as well as kids and adults on scooters, BMX bikes, and roller blades. The park has tennis courts and a sand volleyball court, as well as numerous sporting fields, which provide the community a place to come together to play soccer, baseball, and softball. Included in the City Park area, is a Dog Park to provide a play area for your K-9 family members, a community garden to provide space for garden growers, an outdoor gym to get in shape while enjoying the mountainous views, and a growing Arboretum with trees local to our desert and mountain areas. Whether you are a bird watcher, an athlete, or just come for a little rest and relaxation you will find a place to enjoy your time.